Yoga is said to be imbibed from ancient India and has its own benefits. It has become a popular form of physical activity in recent times. Modern yoga is advised for weight loss and also for shaping up. Earlier yoga was said to be tough, nowadays it is modified in an easy way for practicing and preaching for the present generation. Yoga if learnt in young age benefits in older age as well. For people who learn yoga after age of 30 should consult a doctor and take a go ahead for learning or practicing it. Relieves Stress: Yoga is considered a physical activity. Any physical activity relieves stress. It is also said that it reduces the cortisol level thereby reducing stress level. Increases Flexibility: For maximum benefit, yoga should done under the guidance of a trainer. Yoga when performed in the correct method increases flexibility and helps you perform many tasks in an easy manner. Keeps your Mind Strong: Yoga is a very powerful exercise. It increases concentration. It makes your mind strong and responds to things in a timely manner. There will be no space for negative thoughts. Daily practice of yoga also helps in bringing about an increased awareness of one's own body. By being aware of the breathing pattern and particular movements involved in yoga, the posture can be improved and confidence can be boosted for an individual. The most useful benefit of yoga is the treatment of the mind and body by bringing them together in perfect harmony through the alignment and correction of breathing patterns. Yoga is just like any other physical activity. For people who are regular to gym, can keep yoga on days they won't attend gym or aerobics. For individuals not following any physical activity, they can learn yoga and perform it regularly. Consume plain milk/ fruits and leave at least half an hour gap before practicing yoga. Do not have a meal right after that, leave a gap of half an hour to one hour. Yoga is very helpful. 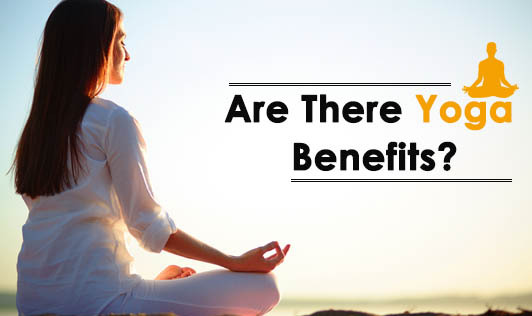 Take maximum benefits of yoga. Find a yoga teacher for yourself today.